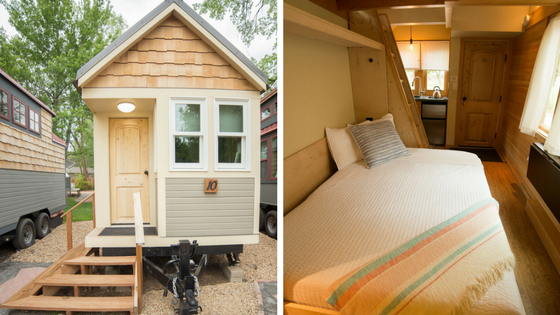 Despite spanning just 165-sq-ft, this tiny house can comfortably sleep up to four people! 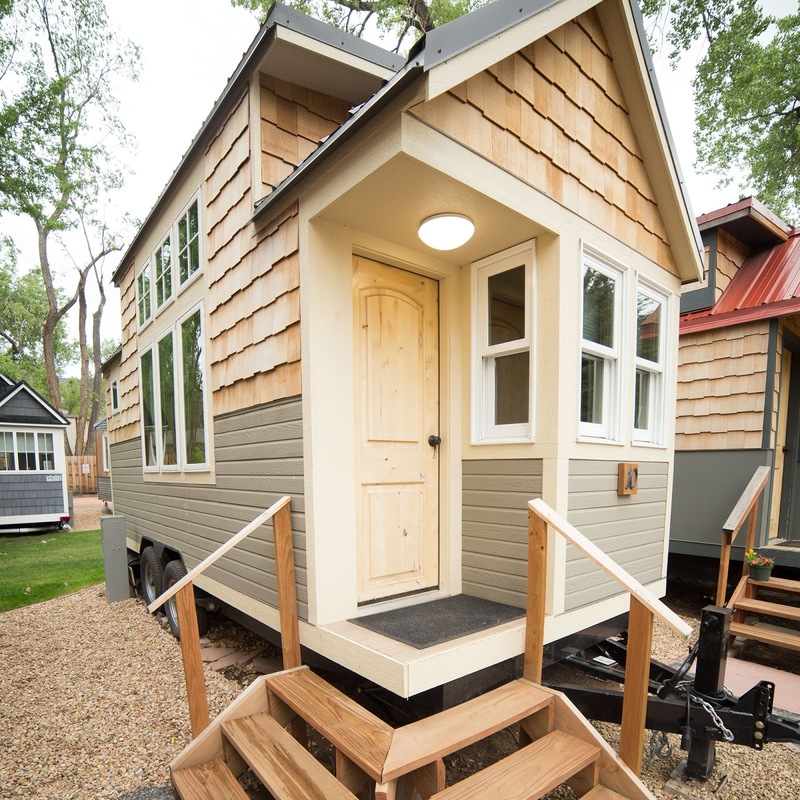 Named the "Canoe Birch", the home is one of several available for rent at the WeeCasa Tiny House Resort in Lyons, Colorado. 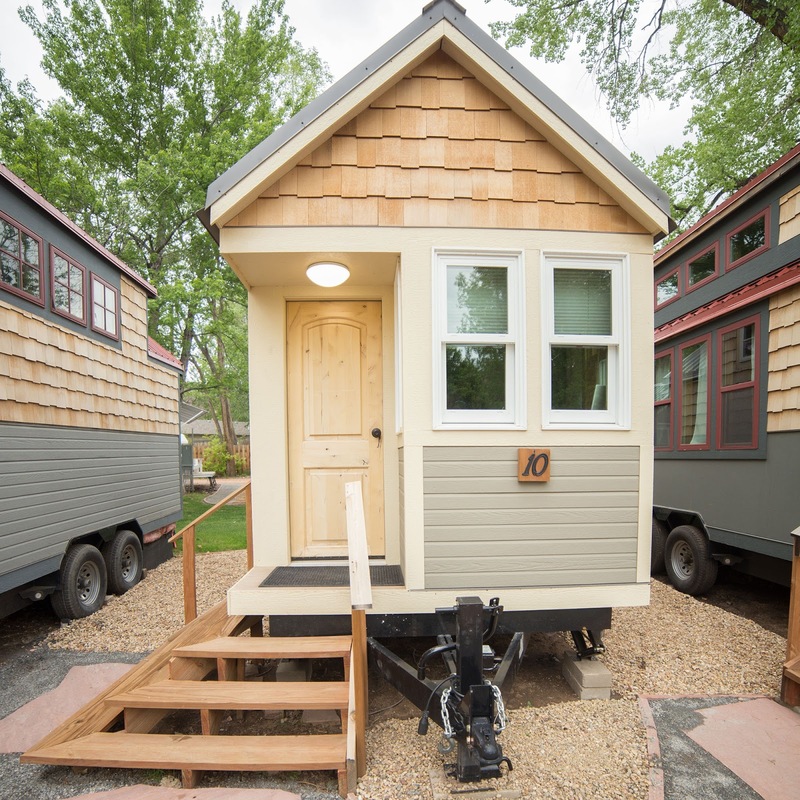 There's a queen-sized Murphy bed on the ground floor, and a second queen in the home's loft bedroom.Also included in the home is a kitchenette, a fold-down table, a bathroom, and beautiful cork flooring throughout. 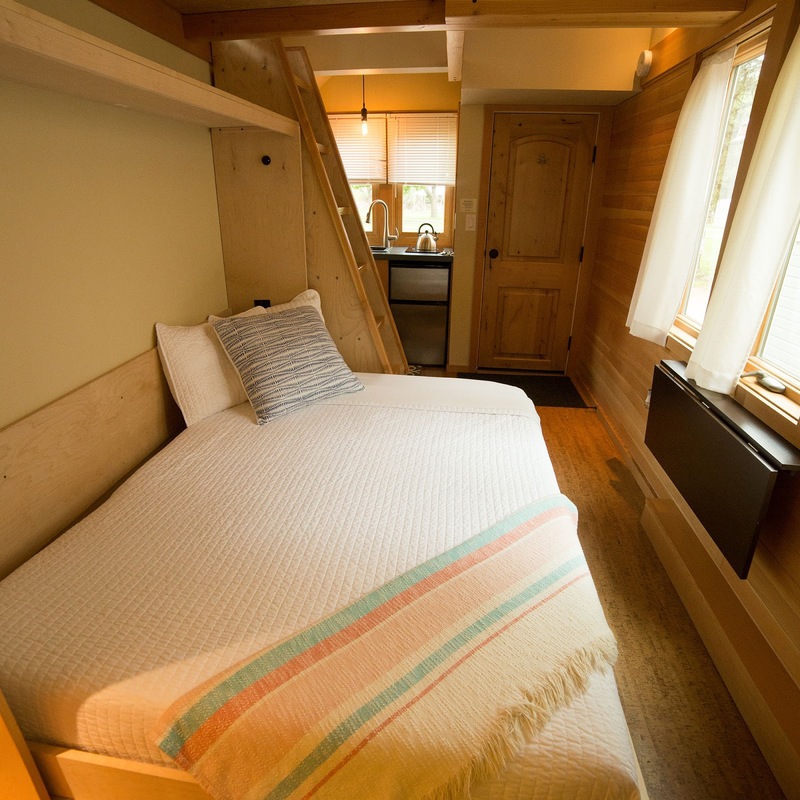 The Canoe Birch is available here for $119 a night!